I enjoy a good casual experience from time to time, this includes the occasional match 3 game. However, to really capture my attention it needs to have something I don’t normally see in the genre. Enter Rescue Quest Gold. This is a match 3 title that not only has you do more than simply match a certain number of gems in a certain number of turns. There’s much more to it than that. 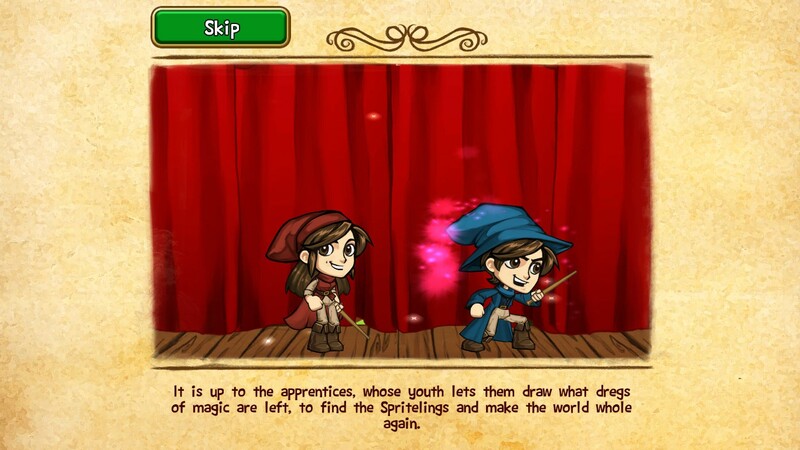 In Rescue Quest Gold you’re on a quest to set free a bunch of sprites in captivity. These magical creatures have been captured by a bad guy for his own nefarious purposes. There’s not a whole lot in the way of story, but match 3 games generally don’t need it. They survive off of the gameplay, and Rescue Quest Gold certainly has that. an addictive style. I honestly found it hard to put down until the boards became a bit too hard for me. 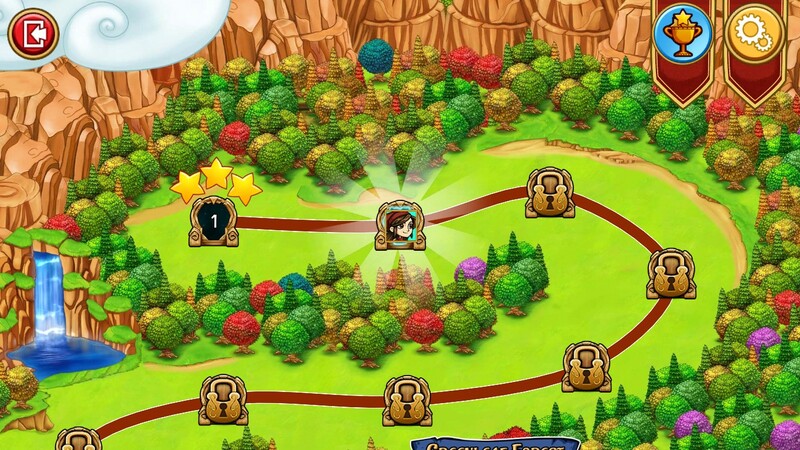 Here’s what sets Rescue Quest Gold apart from its brethren. It’s a side-scrolling game where you have to open a path to this cage of winged delight. It’s not as easy as it sounds, though. On harder levels you’ve got multiple layers to cut through, so the most direct path isn’t necessarily the easiest. So, it takes a bit more skill than just making sure three or more of the same type match up. Honestly, it’s this open-the-path-to-the-end feature that really got me hooked. The addition of rocks in the path, on top of the multiple layers made it tricky to make it to the end. 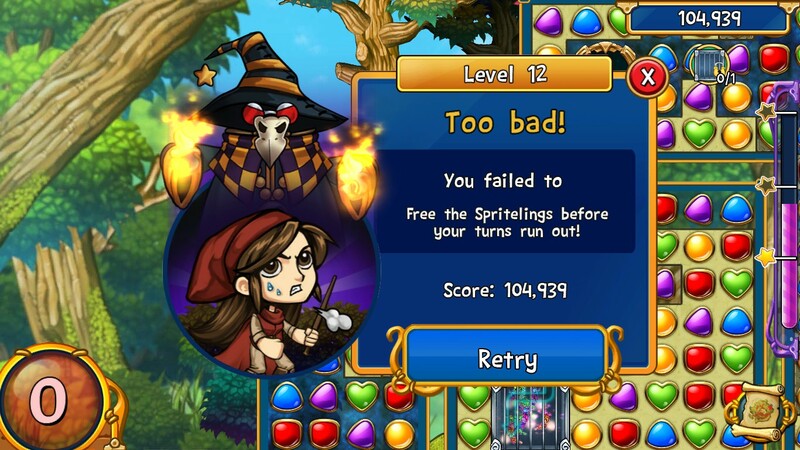 Thankfully, you do have power ups and abilities that can make it easier. Just be sure you set up the board correctly or you could find yourself in a bit of a pickle. I came close to losing a couple times, but that’s part of the fun. 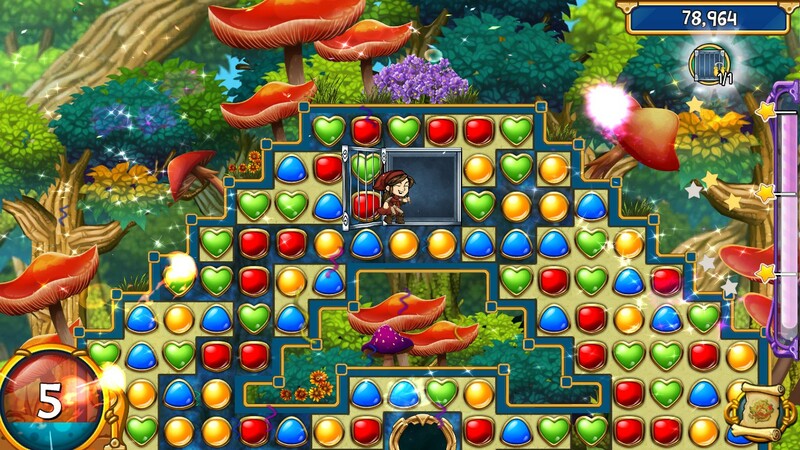 Match 3 games might be more for the casual crowd, and Rescue Quest Gold might be no exception. 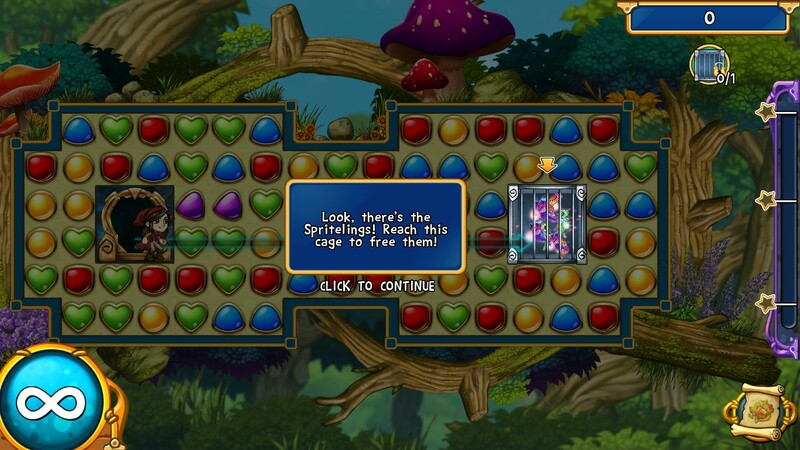 However, the added features over, say Bejeweled, makes it more accessible to those who want more than a mindless grind. The boards are all set up differently, with the earlier ones easier to snag the three star score. Even when low on turns, I still managed to get two stars. It’s hard to tell how exactly this matters beyond maybe achievements. Still, it’s always another thing to strive for. Seeing innovation in a gaming genre is always something I look for in a game. This is especially true for one that usually doesn’t try to break the mold. Rescue Quest Gold, while it does have a lot of the same tropes it also does try to be its own game. This is most certainly a breath of fresh air in a sea of Bejeweled clones. And I have to say that this innovation is something I could see myself return to on a semi-regular basis.